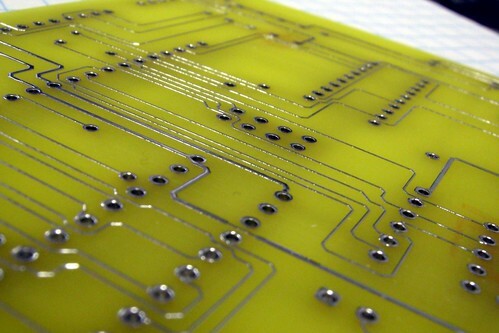 Well, they turned out about as good as I’d hoped, the new PCBs are pretty cool. This whole time I’ve been learning electronics I’ve been building boards by hand; That is a foolish move. I took Sam’s advice and got them done up at APCircuits and the result was good. Here are some pics! Been playing around with Multisim lately. I must say, it beats the tar out of using veroboard for all of my circuits. Just for whoever reads this, here’s a screenshot of my board. 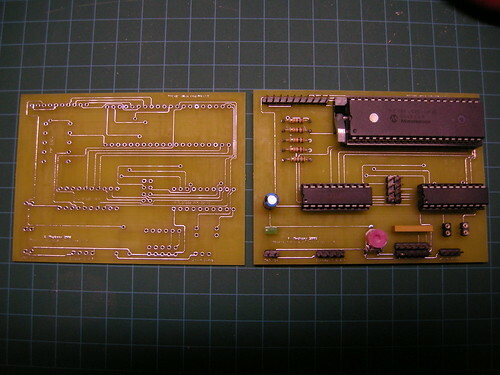 I sent the files off to APCircuits for rapid prototype board construction. I’ll post a pic when they’ve sent it. If it hasn’t been explained on this site before, which it hasn’t, I’ve been commuting to and from work for the last 11 months or so. Even in the winter the ride isn’t too bad. Since winter was gone and the trees are donning their full plumage, I decided to do a good ride on my new tricross to Bon Accord. It was an interesting experience. When I was about 10-12, I used to ride with my parents to various places on the countryside. 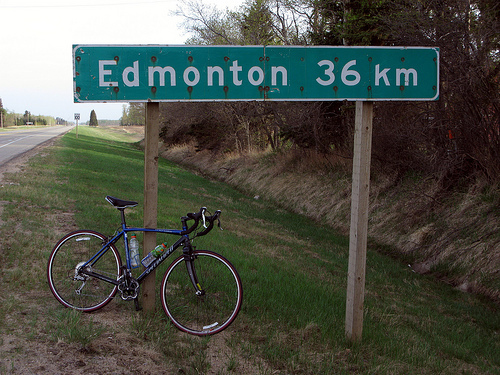 Since then I’ve forgotten how long and boring 20km is on the flat, lonely roads of the Alberta prairies. The hot sun beating down on you is like punishment for daring to ride to another location on the tarmac built for cars. Needless to say, I forgot what a drag it is, but also how interesting the scenery is and the connection you gain to the true nature of distance on your ride. Anyways, I didn’t make it all the way to Bon Accord since the sun would’ve waned too far on the way back, lest I be run down by a local yokel in his Quad Crew Ultra-Mega Cab GMC Gas Guzzler(tm) Pickup Truck. Also I wore standard shorts instead of my bike shorts. That was a mistake, chafes-o-plenty. Next time I’ll be a little better prepared; Lights, proper shorts, side panniers instead of a backpack and perhaps an earlier departure time will all be part of my course of action. 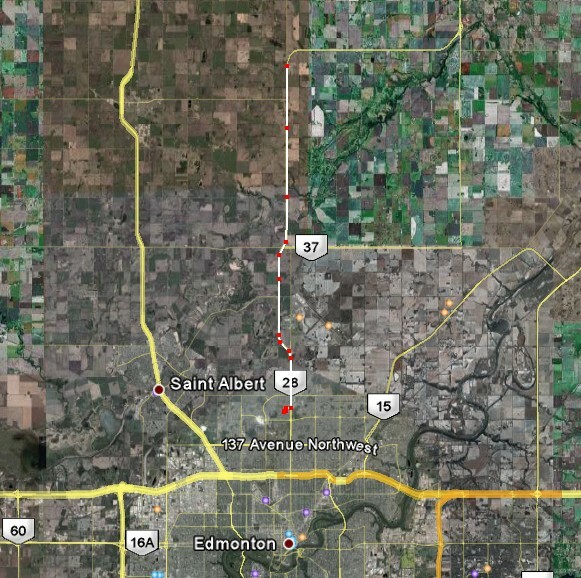 I was going to go for another ride today, perhaps to Morinville, but my body wouldn’t let me. Two passes through the sturgeon valley and some tough hills have exhausted me and despite my continual bicycle commute, I had to rest. I took the day off today and watched the boy learn to ride his bike. Not very welcome after turning around and feeling a blast of headwind in the face.